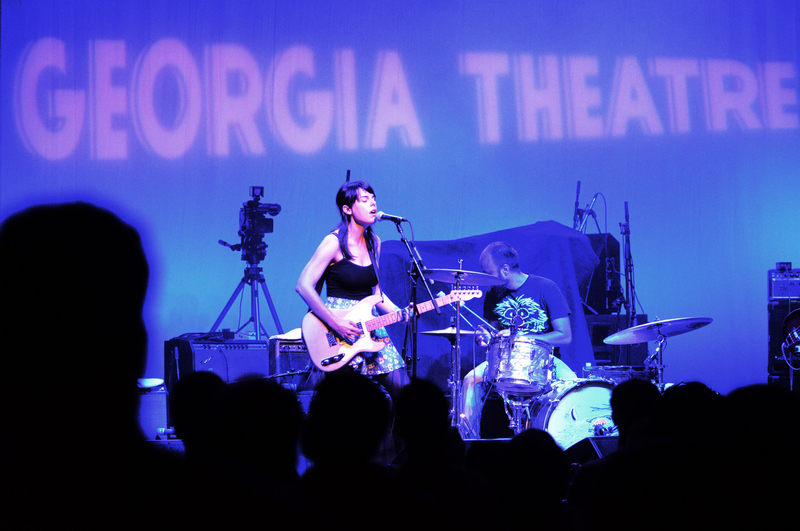 Madeline Adams sings on stage as the first act to play during the reopening of the Georgia Theatre on Monday, August 1, 2011 in Athens, Ga. The Georgia Theatre burned down June 2009 after an electrical fire. The theatre was built in 1889 as a YMCA, served as several worship halls in the 60s before opening up as a concert venue in the 70s.